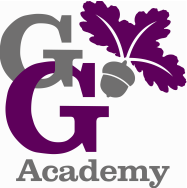 George Grenville Academy was inspected by Ofsted in January 2018. Please Click here for the latest report. Working at "At Least Expected"
Percentage working at "At Least Expected" in Reading, Writing and Maths: 69%. We are committed to ensuring equality of opportunity in line with the Equality Act of October 2010. George Grenville Academy is an inclusive school and we pride ourselves on valuing each child for their differences. We seek to demonstrate this through all aspects of school life and in particular through our commitment to every child, fulfilling their potential. This commitment applies to our work in the classroom, our curriculum, our support systems, our recruitment and retention of staff and our work in the local and wider community. We will ensure that all pupils have the opportunity to achieve the very best that they are capable of and will also guide parents on how they can support their child’s achievement. Where pupils experience barriers to their success we are dedicated to providing the right support so that all children achieve their potential. This year we have introduced Philosophy 4 Children across the school as a way of encouraging open debate. This allows all children to express their views in an supportive format which also teaches the values of respect, empathy compassion and tolerance for the beliefs and views of others. This year we are working to ensure that children who are eligible for pupil premium make above expected progress in line with their peers in writing. We will also be focussing on opportunities for girls. We are conscious our school is 60% boys, 40% girls so we will make sure girls get lots of opportunities to participate in activities like: clubs, sports, music, drama. We will be continuing to offer a wide range of extra curricular activities at no charge as we recognise the importance of enrichment opportunities.